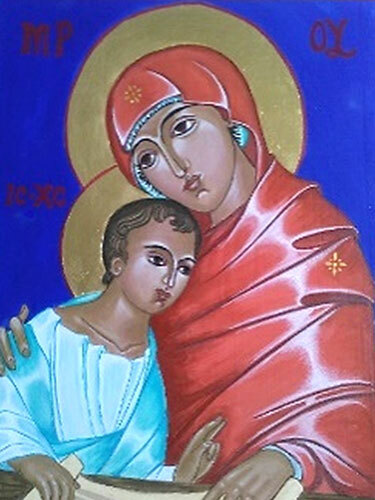 This original icon, presents an image of Mary as mother and teacher. 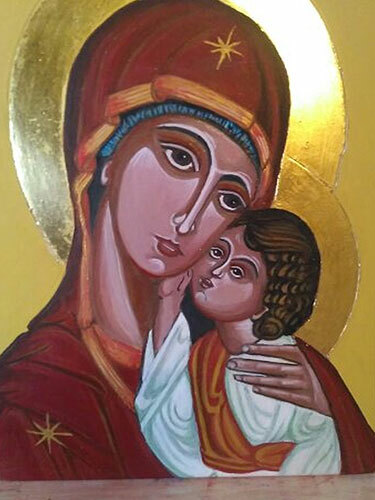 She is pictured seated at table instructing her son in the Scriptures, handing on the faith of their ancestors, a symbol for what happens each day in the Church at the celebration of the Eucharist. 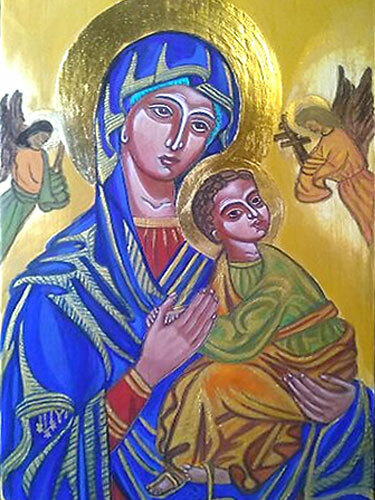 (also known as Our Lady of Perpetual Succour is a Roman Catholic title of the Blessed Virgin Mary as represented in a celebrated 15th-century Byzantine icon also associated with the same Marian apparition. On 23 June 1867, Pope Pius IX granted the image its Canonical Coronation along with its present title. 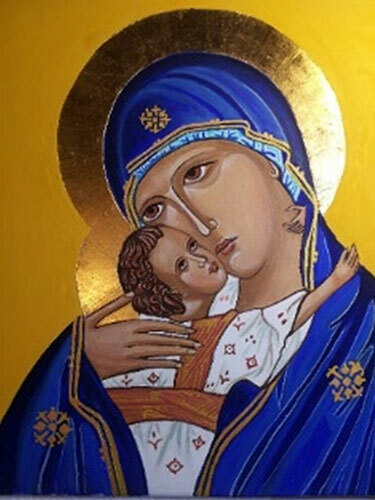 Currently, the Redemptorist priests are the only religious order currently entrusted by the Holy See to protect and propagate a Marian religious work of art. 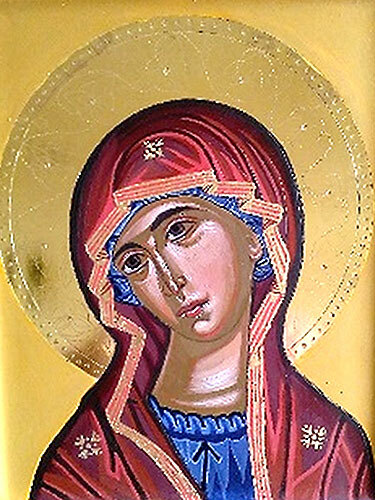 In the Eastern Orthodox Church iconography, the image is known as the ”Virgin Theotokos of the Passion” due to the instruments of the Passion of Jesus Christ present on the image. 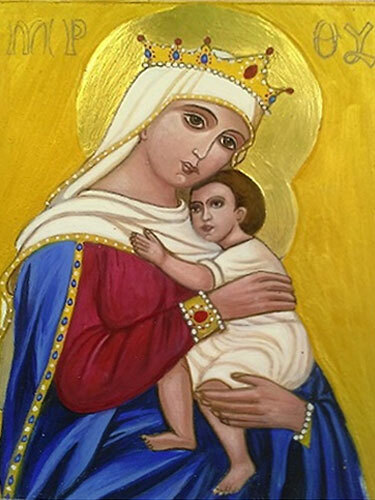 The feast day of the image is celebrated on June 27. 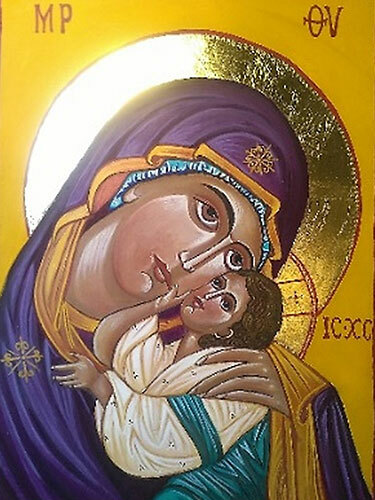 The icon of the feast, which is not found in Byzantine art, depicts in its upper part the Virgin Mary surrounded by a luminous aureole. 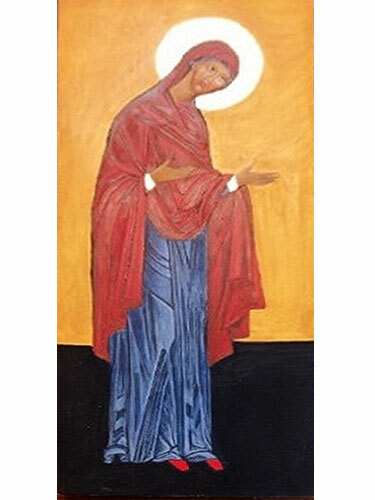 She holds in her outstreched arms an orarion or veil, which symbolizes the protection of her intercession. 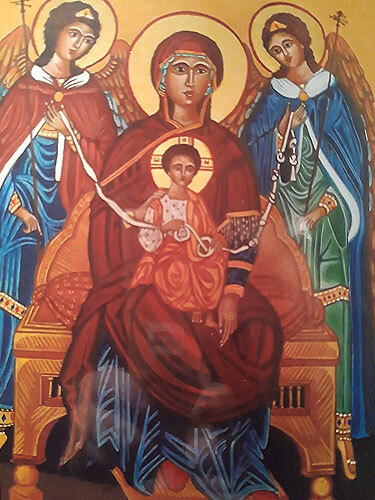 To either side of her stand numerous saints and angels, many of whom are recognizable to the experienced church-goer: the apostles, John the Baptist, St. Nicholas of Myra, etc. Below, St. Andrew the Fool for Christ is depicted, pointing up at the Virgin Mary and turning to his disciple Epiphanius. 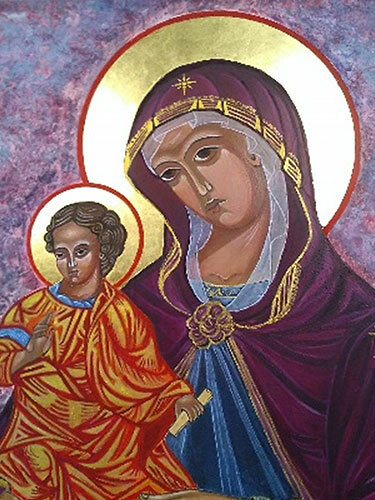 Usually, the veil with which the Virgin protects mankind is small and held either in her outstretched hands or by two angels, though a version similar to the Western European Virgin of Mercy image, with a larger cloak covering people is found in some Eastern Orthodox icons.